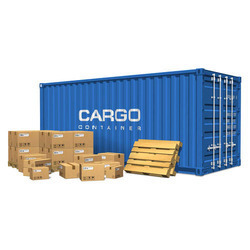 We have expertise to consolidate small shipments/consignments to save time and money for our valued customers those are dealing with “Less than Container Load cargo. Our personalized LCL/AIR consolidation services provide real time status of shipment and customer cargo. We believe in transparency in providing services without burdening customer with hefty hidden charges. LCL Consolidation is a primary product of our organization.We have a regular LCL Consolidation services from all the major seaports as well as ICD's from India .We can assure the timely movement of the shipments from any part of India . We cover more than 1500 destinations of the world. LCL Consolidation is a primary product of our organization.We have a regular LCL Consolidation services from all the major seaports as well as ICD's from India . We can assure the timely movement of the shipments from any part of India . We cover more than 1500 destinations of the world. Destination Location: in Any Country in Globe. specializes in providing customized solutions for the safe conveyance of over dimensional, heavy and bulky cargo. We have been responsible for the movement of cargo requiring unusual handling. Our LCL Cargo Consolidation Services (Imports & Exports) services have been widely used by both national as well as international customers. 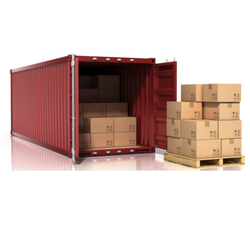 We are a Government accredited firm and have thorough knowledge of the paper work and different processes involved in LCL Consolidation that involves the movement of a smaller amount of cargo than container load. The proper LCL definition is a shipment 'Less than Container Load', and it means in practice that your freight forwarder is going to be earning his money by getting you the best deal.